Local communities from 20 villages in Mondulkiri province’s Keo Seima district have signed a community development agreement under the Keo Seima Wildlife Sanctuary’s REDD+ project which will help them profit from selling carbon credits. The Wildlife Conservation Society announced yesterday that it worked with the Ministry of Environment and provincial authorities to provide the communities with the agreement. REDD+, which stands for Reducing Emissions from Deforestation and Forest Degradation, was created by the United Nations to quantify and put value to carbon storage services provided by forests. The agreement will provide the villagers with a large share of the revenue from the sanctuary’s carbon credit sales for use in implementing prioritised village development plans, with typical activities including improving access to clean water and providing community meeting buildings. Ken Sereyrotha, country programme director for WCS Cambodia, said local communities have played an important role in safeguarding the sanctuary. 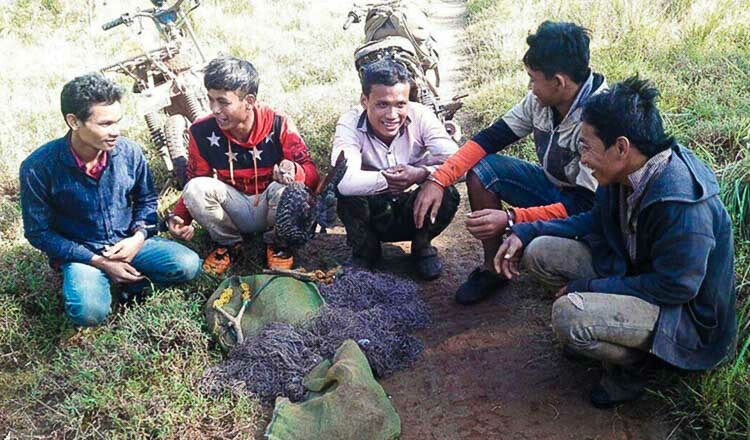 They have sacrificed their time and risked their lives with the Ministry of Environment’s rangers to combat illegal logging and poaching activities, he said. “Participation of local communities and support from government agencies at all levels, especially the Environment Ministry and provincial authorities, are very important and needed for the sanctuary’s forests and wildlife resource management,” he said. Mr Sereyrotha added that the local communities deserved credit for playing an active role in conserving forests and wildlife in the sanctuary. “Carbon credit sales are among various important actions undertaken by the Environment Ministry and WCS, and create a sustainable financial mechanism to conserve natural resources and improve the livelihoods of local communities,” he said. In late January, the Environment Ministry signed an agreement with the Wildlife Alliance to support the REDD+ project in the park and sanctuary. 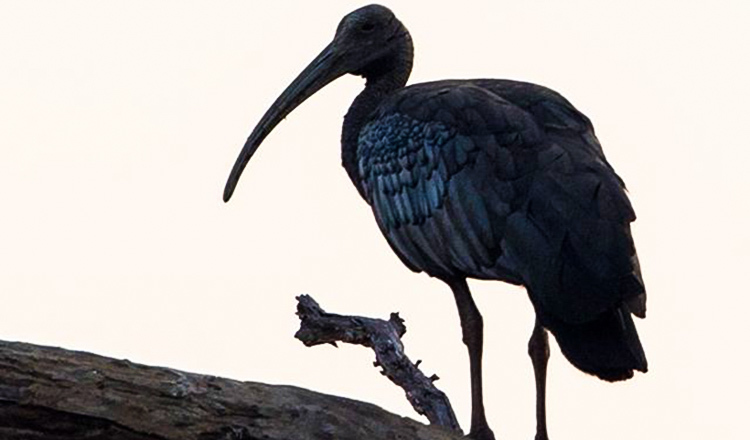 The agreement will allow the government to sell carbon credits and plough the money into conservation projects in the Southern Cardamom National Park and Tatai Wildlife Sanctuary. 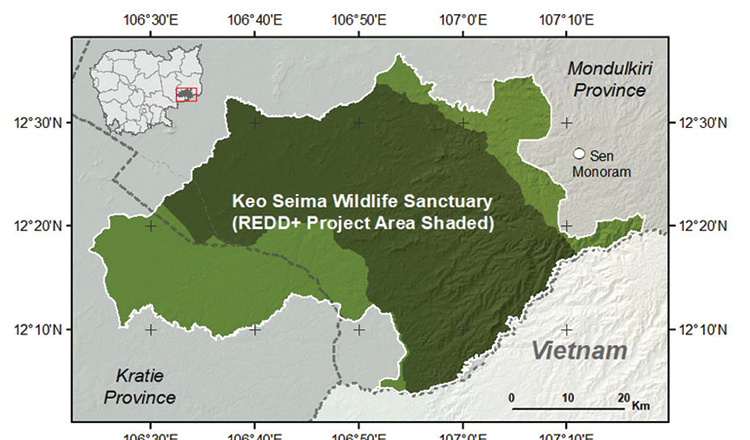 According to a WCS statement, the Keo Seima Wildlife Sanctuary, under the international REDD+ approach, is projected to avoid the emission of more than 14 million metric tons of CO2 equivalents over the first 10-year period between 2010 and 2019. In 2016, the Cambodian government, through the Ministry of Environment and in partnership with WCS, sold the sanctuary’s first carbon credits to an American company. Not Nu, chief of the Chak Cha indigenous community, said they can now use the revenue from the carbon credit sales to develop their village. So Khornrithykun, undersecretary of state at the Environment Ministry, also said the agreement would boost protection of the sanctuary’s forests and wildlife as well as improve the livelihoods of local communities living around it. “Now they can use the funds from the carbon credit sales to develop their villages, such as developing infrastructure, digging wells or running community enterprises,” he said. 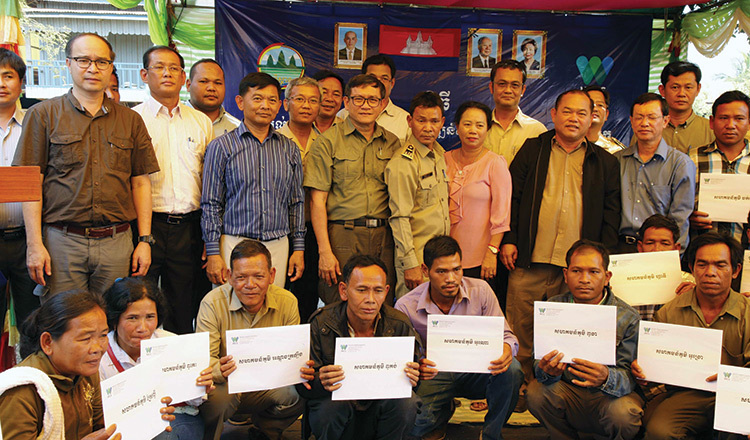 Some of the indigenous communities that signed the agreement include the Andoung Kralong, O’Rona, Pu Cha, and O’cha.